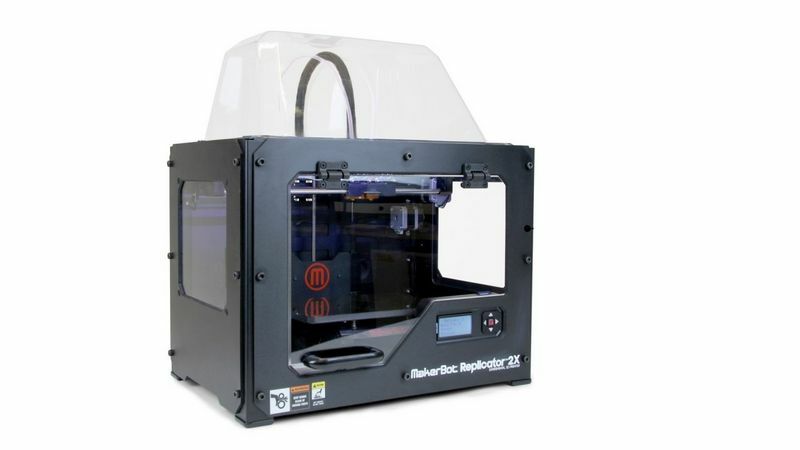 MakerBot Replicator 2X Experimental 3D Printer. 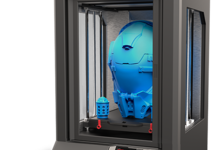 A full-featured desktop 3D printer for your home or office: A super flat build, plate, a draft-blocking enclosure and completely re-engineered dual extruders. Better temperature control keeps build plate heated precisely & evenly throughout. Less maintenance and more uptime. Add a new level of creativity to your 3D design with interlaced colours. Precisely aligned dual nozzles give perfect prints in one or two colours. New improvements to the MakerBot slicing engine make it even faster & more accurate. 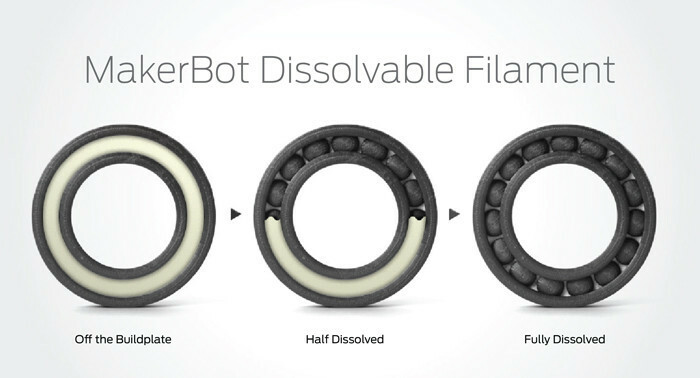 MakerBot Firmware enables improved, smoother acceleration to generate finer detail with less vibration. Save projects as .thing files.